As on Wednesday 8.30 am IST (24 hrs), Mumbai SantaCruz recorded 49 mms and Colaba 46 mms. Average 47.5 mms. Frequent on /off showers continue in Mumbai City on Wednesday, with SantaCruz getting 12 mms in 3 hrs after 8.30 am Wednesday. Surat got 22 mms and Ahmadabad 12 mms in the same period of 24 hrs ended 8.30 am IST. Surat received 10 mms in 3 hrs on Wednesday after 8.30 am. In Gujarat, Idar records 71 mms, Mahuva 32 mms,Veraval 26 mms, Bhuj and Vadodra 17 mms . Meanwhile, as expected, the rains shifted to Sindh, and Karachi got the much needed relief and cloudy weather, with rain recorded as 2 mms.Several places in South and SE Sindh got showers. Forecast for Wed and next 2 days is mentioned below..(Tuesday evening Post). Mumbai City: Wednesday 22nd and Thursday 23rd will see frequent showers at regular intervals, a few of them heavy. Around 35-40 mms/day. Friday 24th will see a decrease in intensity, with bright intervals. Parts of Eastern and Northern Gujarat got the much needed relief as some showers arrived...Daytime rain on Tuesday was highest at Mahuva with 31 mms. Vadodra received 17 mms. Ahmadabad, which has been dry and waiting , got the predicted showers, with 5.7 mms on Tuesday. Over night, Valsad district got heavy rains...some figures in cms from Valsad and Dadra Haveli: Kaprada (dist Valsad) 17, Madhbun (dist Dadara & Nagar Haveli) 13, Dharampur (dist Valsad) 12, Nanipalson (dist Valsad) 11, Silvassa (dist Dadara & Nagar Haveli) 9, Pardi (dist Valsad) 6, Vapi (dist Valsad) 4. Mumbai Scruz saw 39 mms, Colaba 13 mms. Pune had frequent showers on tuesday, recording 13 mms till 5.30 pm IST. Wednesday will see moderate rains in Saurashtra,with Western Saurashtra region (Dwarka) getting heavy rains. Heavy to moderate in Eastern Gujarat. Rains decrease from Thursday in Gujarat. Next 3 days till Friday (Decreasing from Friday), Surat and Valsad can get frequent showers, some heavy. Rain amounts will be around 30-35 mms for Valsad and 20-25 mms in Surat. Rains in Coastal and SE Sindh on Wednesday and Thursday. Karachi possibly getting light to medium rains these 2 days with strong west winds. Thunder showers also likely in Sukkur (Sindh) on Wednesday and Thursday. 2). Interior Karnataka, TN and Telengana. Goa rains increase again from Thursday. The Monsoon axis starts shifting North again from Wednesday. This will increase rainfall in the Northern plains of U.P, Haryana and Delhi from Thursday 23rd. But, as the axis moves North, very heavy rains expected in Uttarakhand on Thursday and Friday. Delhi NCR will see rainfall increasing from Thursday for another couple of days. Even Kolkata, can see an increase in rain amounts after Thursday for a couple of days. Sir I feel far western suburbs starting malad kandivli borivali nd onwards were lashed by heavy rains in quantum and intensity...sir ny updates lake areas? Thanks sir and sorry I missed the below post stating the rainfall figures..
India 1813, Pakistan 179, United States 157...total today all inclusive is 2300 hits. Last year July end lakes started filling still we had 10 to 20 pc cut. This year no problem water cut even though lakes not filling. Almost all parts of "Navi Mumbai" received rains in range 100-150mm 24hrs. Mumbai/Navi Mumbai/Thane is blessed with fresh water lakes,mountains,forests... cities receives fresh water in taps 24hrs or sometimes twice a day... people here are used to good quality water... compare this with place like TN / AP / Bangalore - fresh water comes in taps only once a week!!!!. SSET: can i suggest you a better opponent. ever compared Cherrapunji or Mawsynram or Kolkatta, it typically gets 10-15 to 3 times more rain than Bangalore and Cuddapah. It might give a "novelty" to your analysis. The 2015 El Niño continues to develop. Weakened (or reversed) trade winds have resulted in further warming over much of the tropical Pacific Ocean. All key ENSO ocean monitoring areas have been more than 1 °C above average for 10 successive weeks—two weeks longer than the record in 1997. The eastern tropical Pacific is now at or exceeding +2 °C. In the atmosphere, the past week has seen the Southern Oscillation Index (SOI) drop to around –20, the lowest values of the event so far. All international climate models surveyed by the Bureau of Meteorology indicate El Niño is likely to strengthen, and is expected to persist into early 2016. El Niño events typically peak during the late austral spring or early summer, and then weaken in the new year. El Niño often brings below average winter and spring rainfall over eastern Australia and above-average daytime temperatures over the southern half of the country during the second half of the year. However, other factors, such as temperatures to the north of Australia and in the Indian Ocean, also affect Australia’s climate, meaning El Niño is not the only influence on rainfall and temperature changes. Read more about how El Niño might affect Australia. The Indian Ocean Dipole (IOD) is currently neutral. A positive IOD event remains possible, with three of the five international models suggesting a positive IOD is likely during late winter to spring. A positive IOD is typically associated with reduced winter and spring rainfall over parts of southern and central Australia. @SSET Lol.. No logic you have it seems!! Again repeating how Konkan comparison can be possible with AP/TN & Int Kar?? Comparison of Int Kar/TN/AP can be possible with Int Maha,Marathwada as they all are rain shadow regions & also Marathwada gets water once in week only in thier taps. 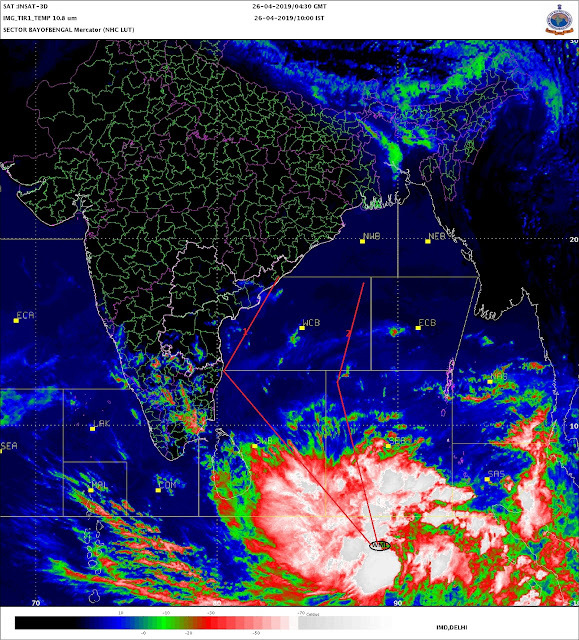 So don't compare always repeatedly same old wrong logic..
Much needed Heavy Rain lashes North Konkan.